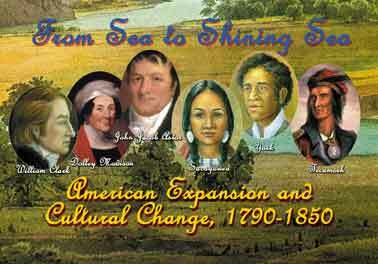 The theme of the regional event is “From Sea to Shining Sea,” which focuses on the period 1790-1850, including the Lewis and Clark Expedition, the opening of the West and encounter with native peoples. With emphasis on America’s continent-wide expansion, the Nebraska Humanities Council (NHC) addresses the bicentennial of the Lewis and Clark Expedition and its larger themes of westward exploration and encounter with native peoples. 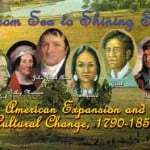 Among the participating scholars and the characters they portray are Jeffrey Smith as William Clark, mapmaker and co-leader of the Corps of Discovery; Charles Everett Pace as York, a slave and the only African-American member of the Corps; and Selene Phillips as Sacagawea, a Shoshone Indian and the only woman on the expedition. Other scholars include Tonia Compton as Dolley Madison, the First Lady for 16 years and the most important woman in American social circles for 50 years; Jerome Kills Small as Tecumseh, the Shawnee leader who worked for an independent Indian territory; and Jerome Tweton as John Jacob Astor, who was the richest man in America at his death in 1848. Chautauqua scholars portray these figures in historical garb. In addition to its annual visit to Nebraska, the Great Plains Chautauqua also makes stops in Oklahoma, Kansas, South Dakota and North Dakota.